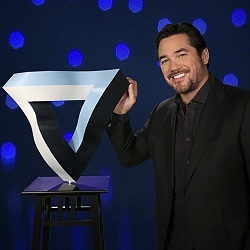 Dean Cain, well known for portraying Clark Kent & Superman on the TV show “Lois and Clark: The New Adventures of Superman” and currently appears on Supergirl as her adopted father on The CW show and hosts “Masters of Illusion” will be appearing at the Dec. 3 & 4, 2016 winter edition of the Northeast Comic Con & Collectibles Extravaganza at the Shriners Auditorium in Wilmington MA. Dean will be attending Saturday and Sunday to meet fans, sign autographs and offer photo ops. There is a fee for autographs and photos ops. Immediately after graduation, Cain signed on as a free agent with the Buffalo Bills, but a knee injury during training camp ended his football career prematurely. With little hope of returning to sports, he turned to screenwriting and then acting, shooting dozens of commercials including a volleyball-themed spot for Kellogg’s Frosties and appearing on popular television shows like Grapevine, A Different World and Beverly Hills, 90210. 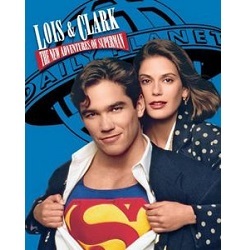 In 1993, Cain took on his biggest role to date as Superman in the television series Lois & Clark: The New Adventures of Superman. At the height of its popularity, it would bring in an average of at least 15 million viewers per episode. The series ran for four seasons, ending in 1997. In 1998, Cain started the Angry Dragon Entertainment production company, which produced the TBS Superstation television series Ripley’s Believe It or Not!. 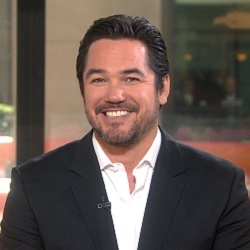 He has also starred in several films, including The Broken Hearts Club (2000), Out of Time (2003) and Bailey’s Billion$ (2004). In 2004, he portrayed Scott Peterson in the fact-based made-for-television movie The Perfect Husband: The Laci Peterson Story. He appeared in a recurring role as Casey Manning in the television series Las Vegas. 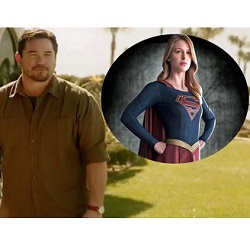 Cain made a return to the Superman franchise, with a special guest role in a season seven episode of Smallville as the immortal Dr. Curtis Knox, a character based upon the DC Comics villain Vandal Savage; and again in a recurring role of Supergirl, as the title character’s foster father, Jeremiah Danvers. He is also the star of the VH1 hit series Hit the Floor as Pete Davenport, who is the new head coach of a fictional NBA team and has an illegitimate daughter who is a cheerleader for his NBA team. He was ranked No. 33 on VH1‘s 40 Hottest Hotties of the ’90s. Cain was also a contestant in an NBC celebrity reality competition series called Stars Earn Stripes. He won four out of six missions on the show, though he came in third in the finals. In 2012, he participated in Fox‘s dating game show The Choice. 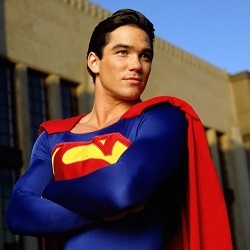 Cain appeared in the mid-season premiere of Comic Book Men, appearing at Kevin Smith‘s Secret Stash where the crew was celebrating 75 years of Superman, citing that Dean Cain helped people care about Superman again. In 2016, Cain played a guest role on the Netflix original series Lady Dynamite as Maria Bamford’s ex-fiancé Graham.